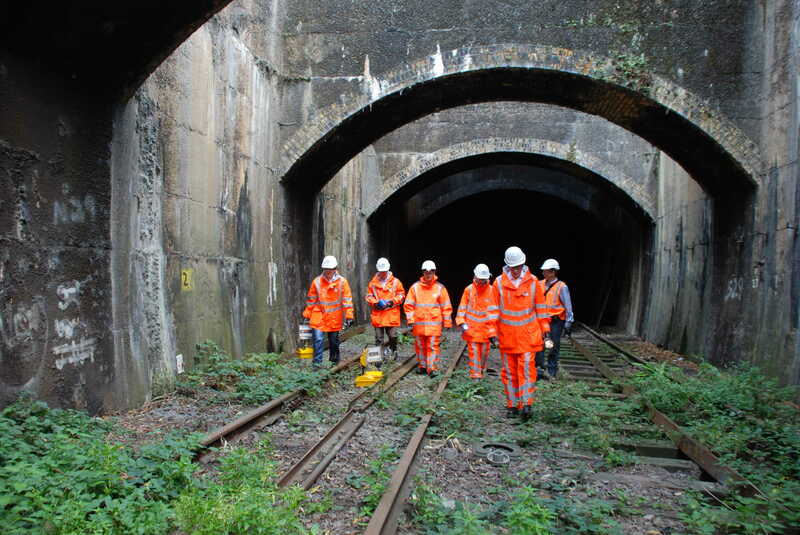 To deliver the Crossrail branch to Abbey Wood, a major proportion of the construction work involves refurbishing disused rail infrastructure, including the Connaught Tunnel on the former North London Line branch to North Woolwich and disused National Rail tracks to Custom House – which both closed to passenger traffic in December 2006. 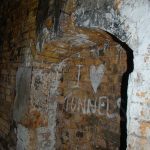 The history of the Connaught Tunnel dates back to 1878. 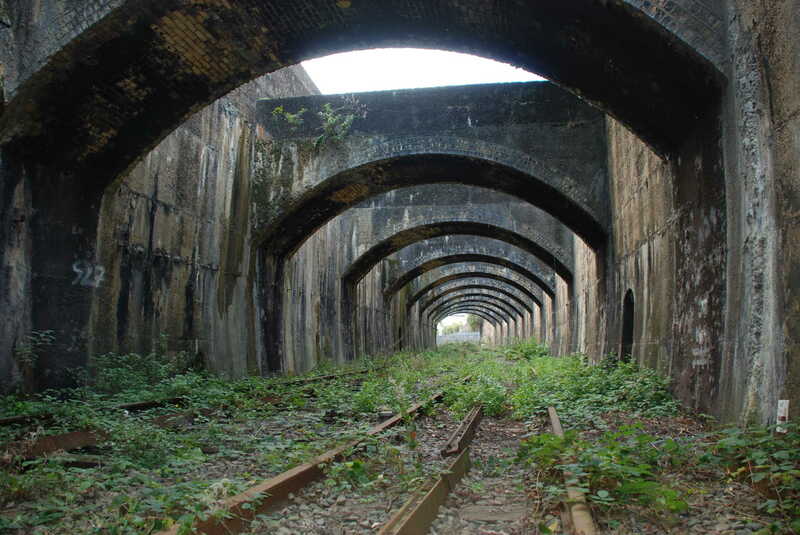 It allowed the railway to be diverted under the Connaught Passage, a water link which connected the Victoria and Albert Docks. 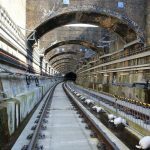 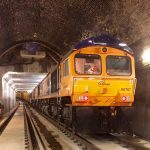 The Connaught Tunnel is around 550 metres long and runs between Royal Victoria Dock and Royal Albert Dock close to London City Airport. 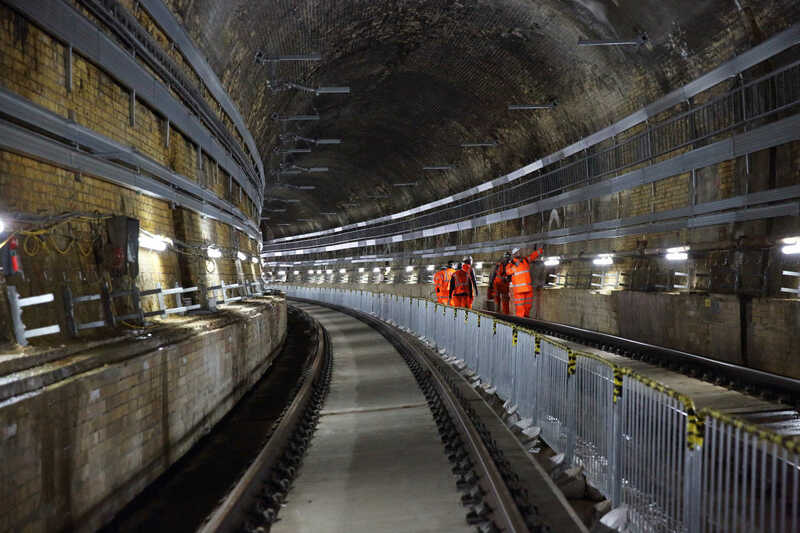 Crossrail enlarged the existing tunnel so that it can accommodate Crossrail trains and overhead line equipment. 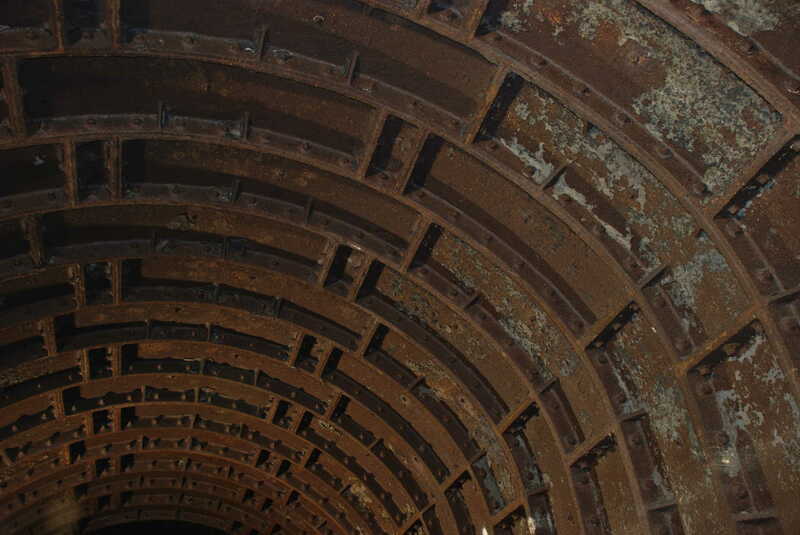 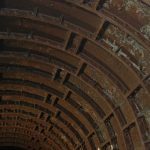 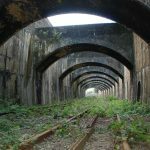 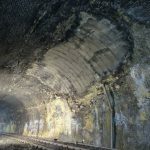 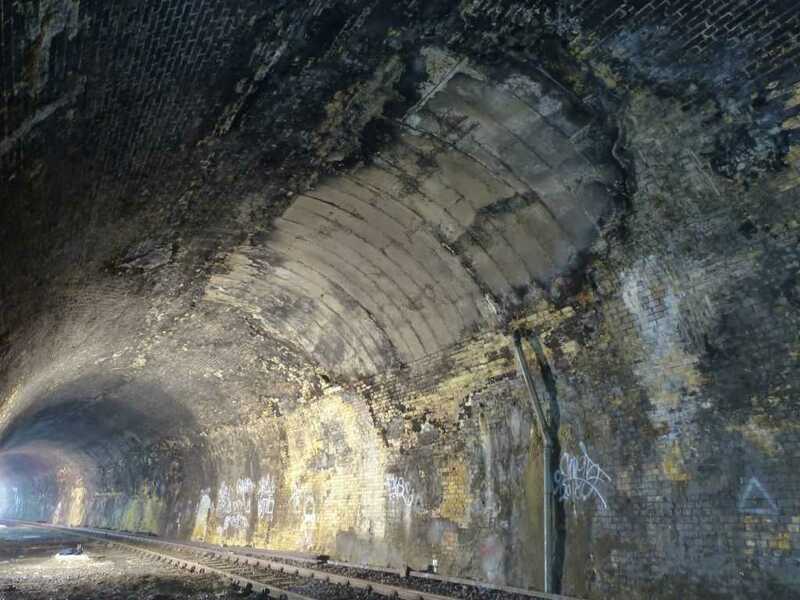 Sections of the tunnel were in a poor structural condition. 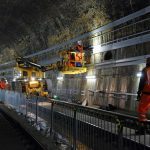 Around 100 metres of tunnel wall was removed and replaced with a new tunnel lining. 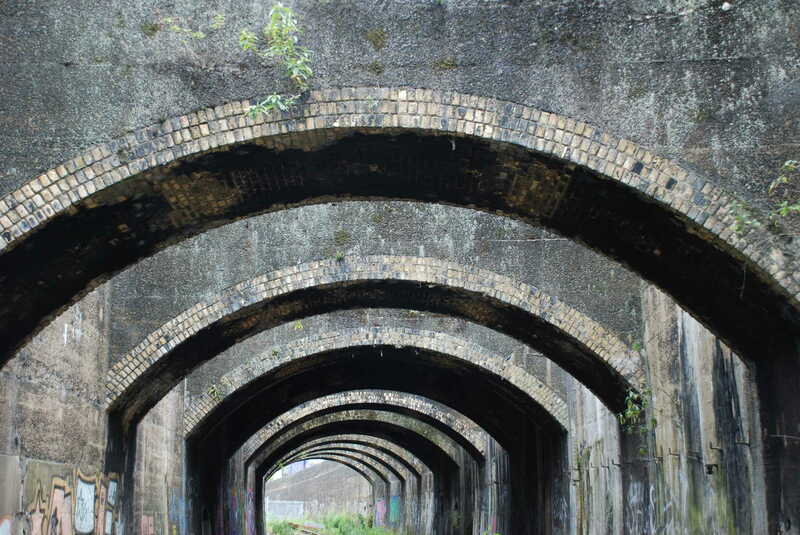 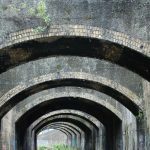 The existing brick arches and the tunnel approaches were retained and repaired. 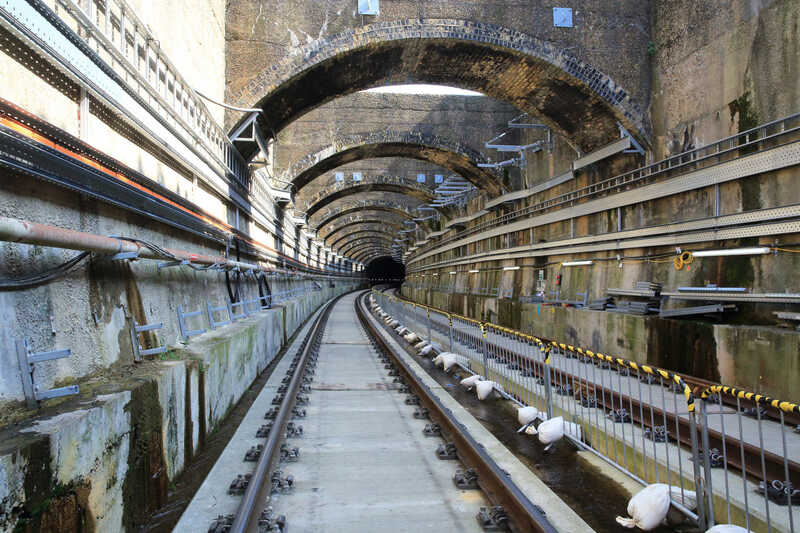 The central section of the Connaught Tunnel became weaker after the Royal Victoria Dock was deepened in 1935 to allow larger ships to enter the dock. 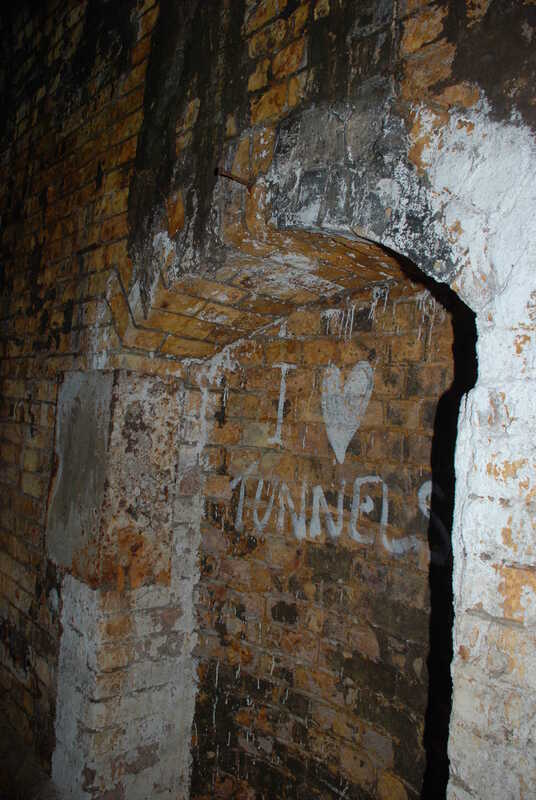 This resulted in the roof of the Connaught Tunnel below the dock becoming exposed. 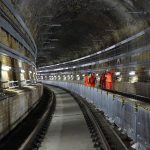 As part of work to deepen the Royal Victoria Dock, the central section of the Connaught Tunnel was narrowed, with brickwork removed and cast iron tunnel segments installed. 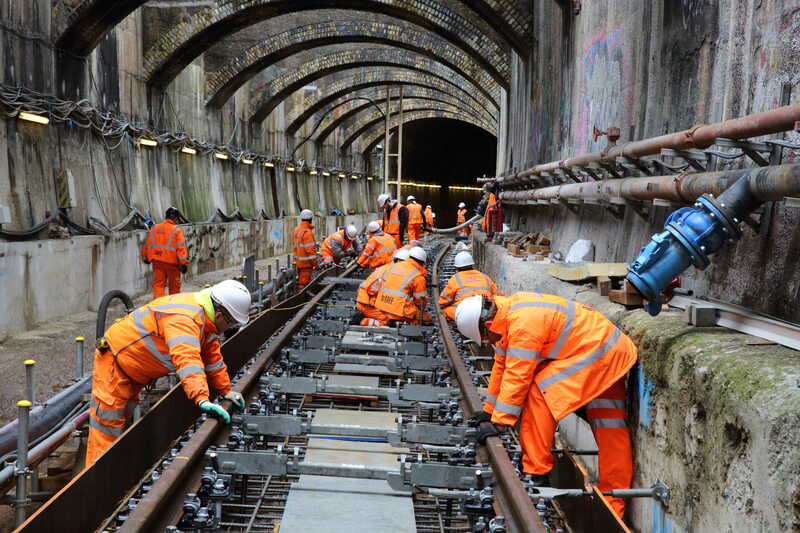 One of the first pieces of work carried out was the reinforcement of the central section of the Connaught Tunnel. 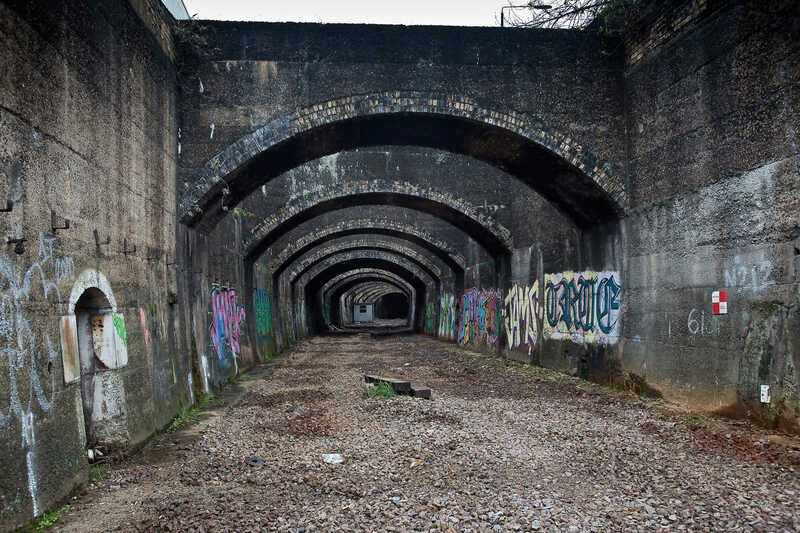 This section lies at the bottom of the Royal Victoria Dock at the border with the Royal Albert Dock. 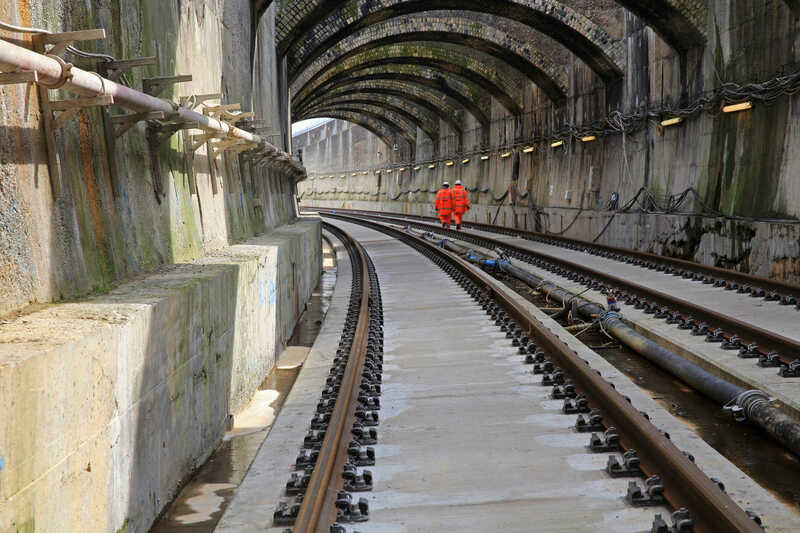 A large concrete base was installed on the dock floor to ensure the safety and stability of the Connaught Tunnel. 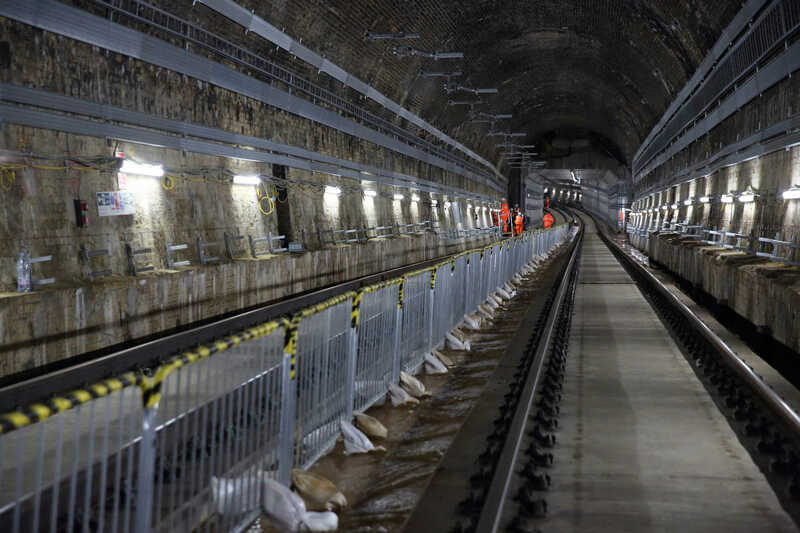 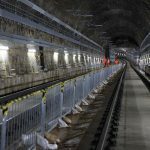 Crossrail’s contractor dredged a wide passageway in between the Royal Albert Dock and Royal Victoria Dock and installed a 1m thick, reinforced concrete protection slab, measuring 1000m3 on the bed of the passageway. 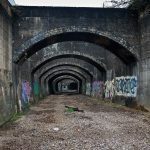 This is located just west of the Connaught Road Bridge. 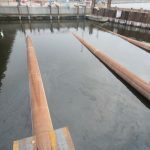 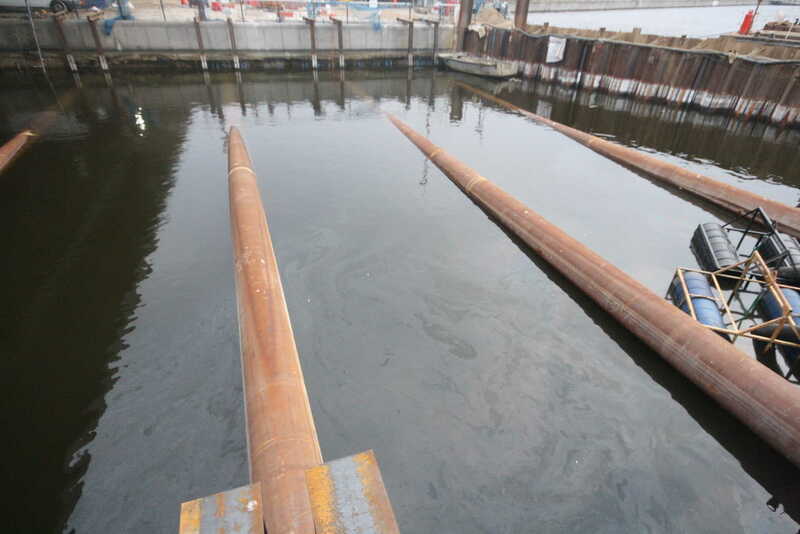 The slab was placed using marine pontoons and with the help of specialist divers. 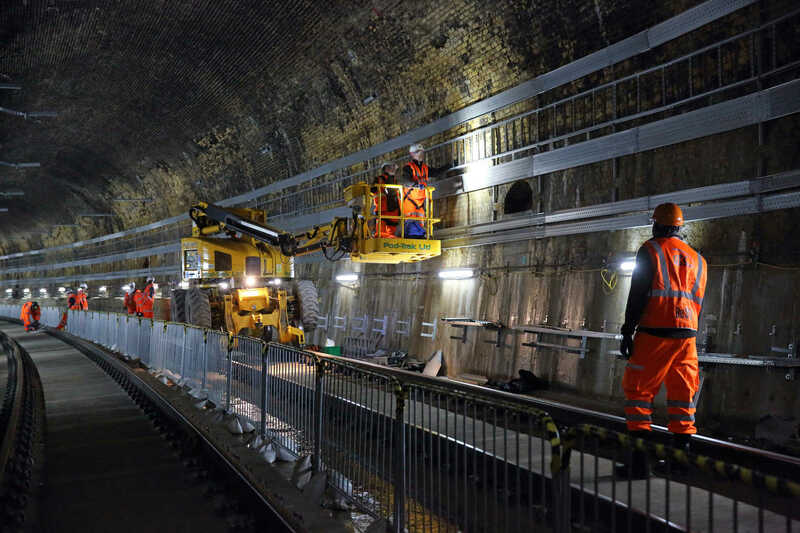 Following installation of the dock protection slab, the cast iron linings in the Connaught Tunnel were removed in stages. 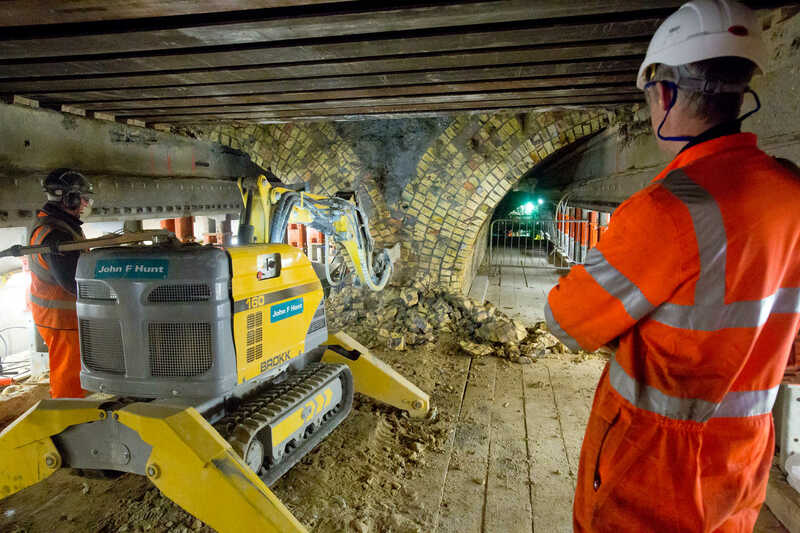 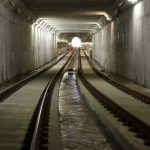 During this operation, the remainder of the brick-lined tunnel was grouted and filled with a low strength foam concrete to ensure the integrity of the existing tunnel. 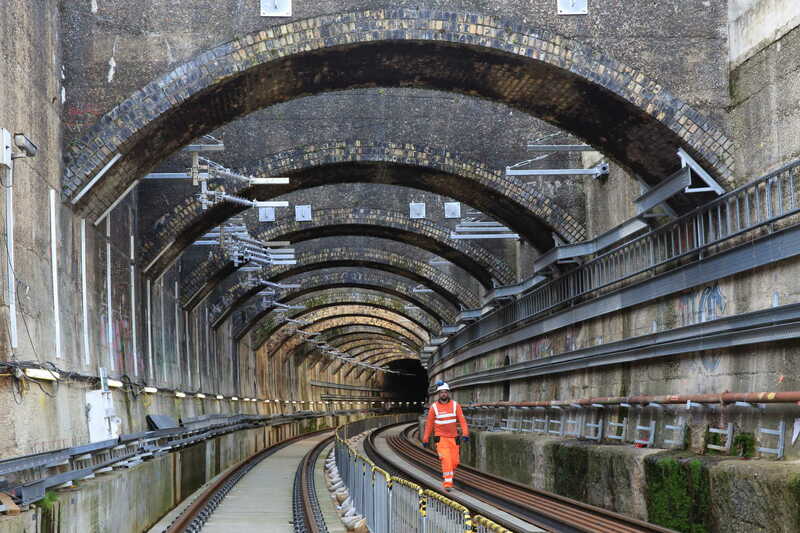 The tunnels were then enlarged to allow Crossrail trains to pass. 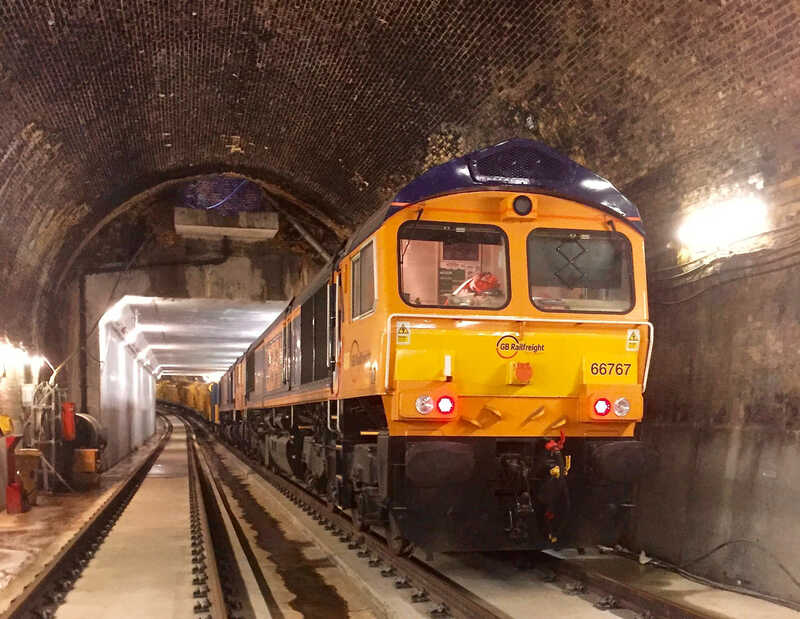 Today, the Connaught tunnel has been transformed in preparation for the arrival of the first Elizabeth line trains in December 2018. 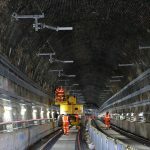 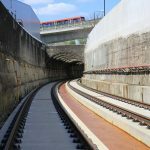 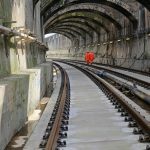 Direct fixed track has been installed within Connaught Tunnel. 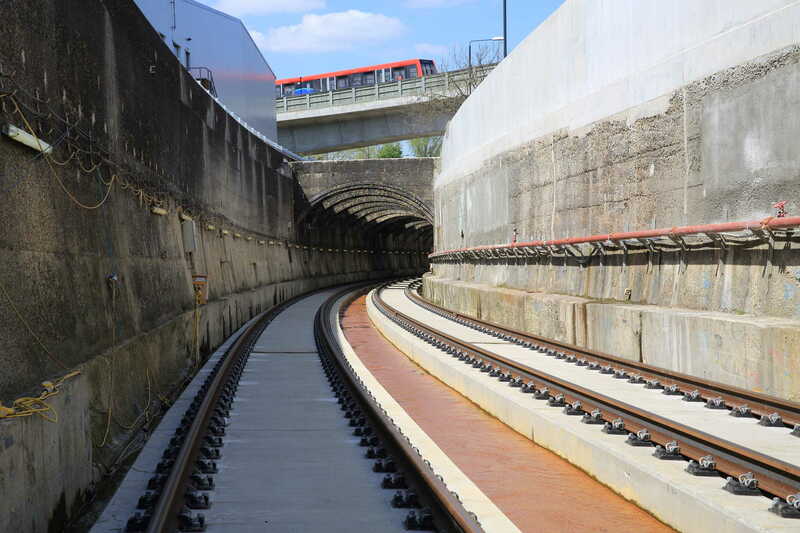 The track bed is a concrete reinforced structure. 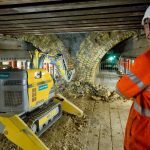 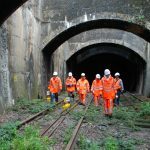 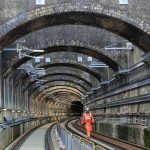 It allows engineers to create a flat surface on top of the significant undulations in the ground and to work within the height restrictions which are a feature of this Victorian engineered tunnel. 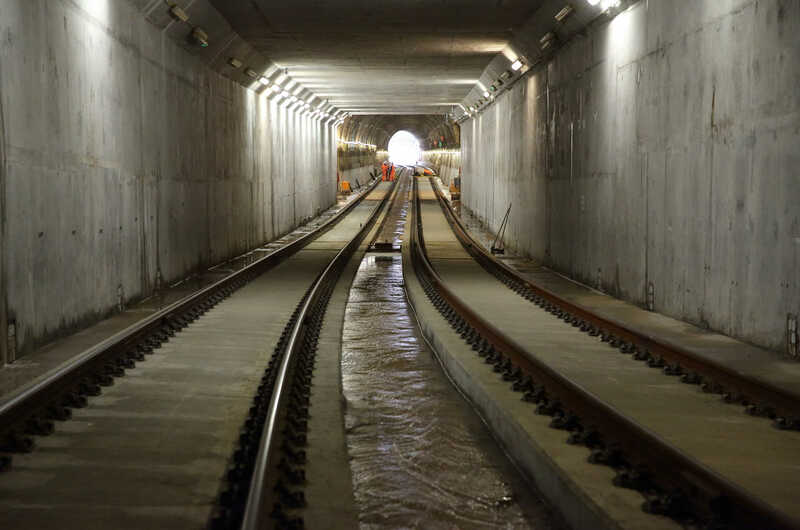 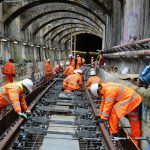 A total of 2.6 km of direct fixed track has already been installed on Crossrail. 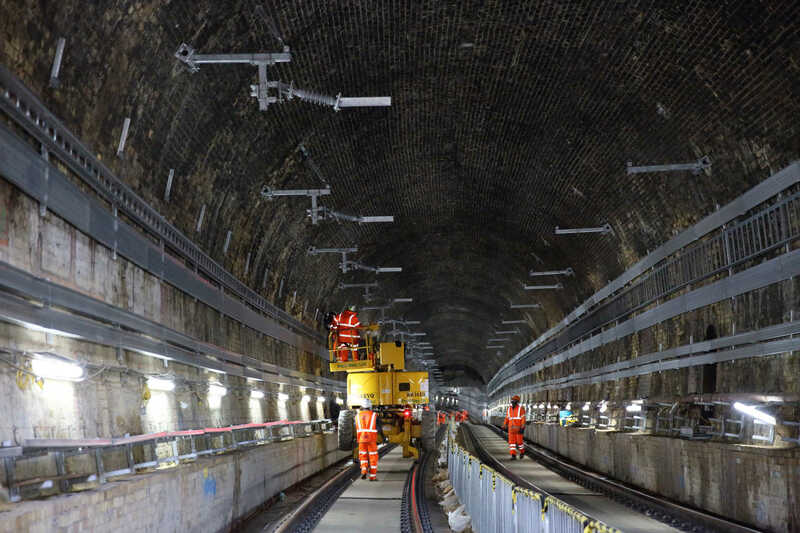 Cable trays, communications and over-head power lines have also been installed.